Questions about our roadside assistance and towing services? Want to learn more about what’s included in our comprehensive roadside assistance programs and services for consumers & commercial/fleet vehicles? Interested in more information about our customizable roadside service plans for commercial and fleet companies? 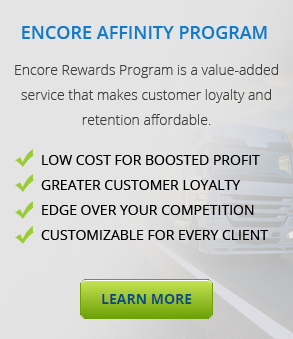 Ready to apply for membership and join the thousands of other individuals and families who benefit from Encore’s roadside assistance and towing programs? We’re here to help! Contact us using the information below or by filling out the quick form on this page and we’ll connect you with one of our knowledgeable customer service representatives. Notice: Roadside Assistance is available 24/7. Our customer service and billing departments are available between 9:00AM to 5:00PM Eastern Standard Time Monday to Friday.